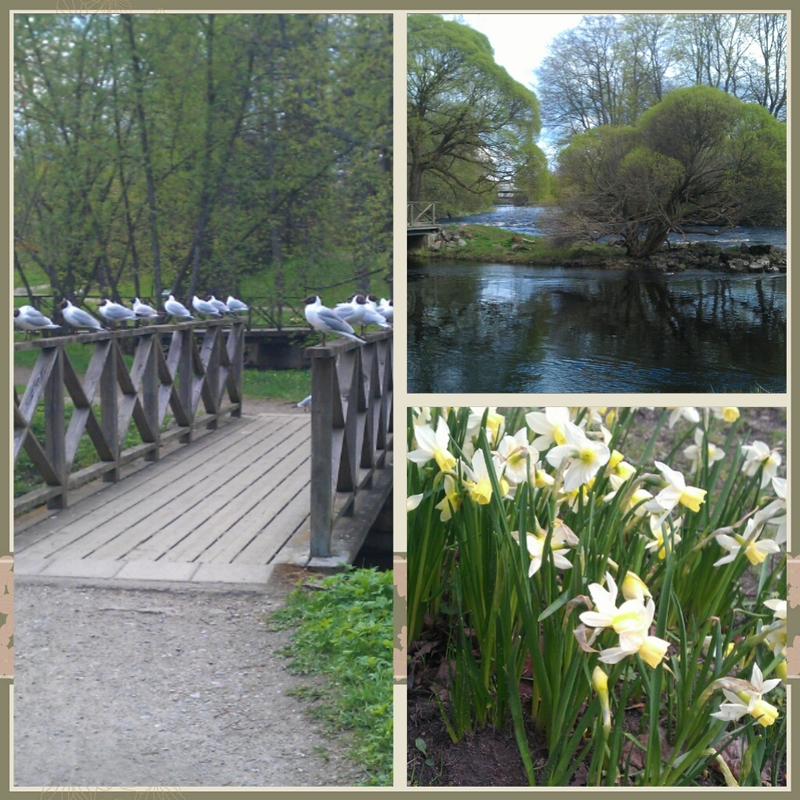 Here I’m posting a few pics of what I got to see from Gävle in my free time. It’s a pitty I cannot show you any pictures of the paper mill I actually went to visit. I find it very interesting to see how the paper is made and dried, see the jumbo reels and the slitting and packaging stations but, unfortunately, I wasn't allowed to take any pictures inside the mill. Sorry T_T. Anyways, I hope you enjoy these pictures of the city. 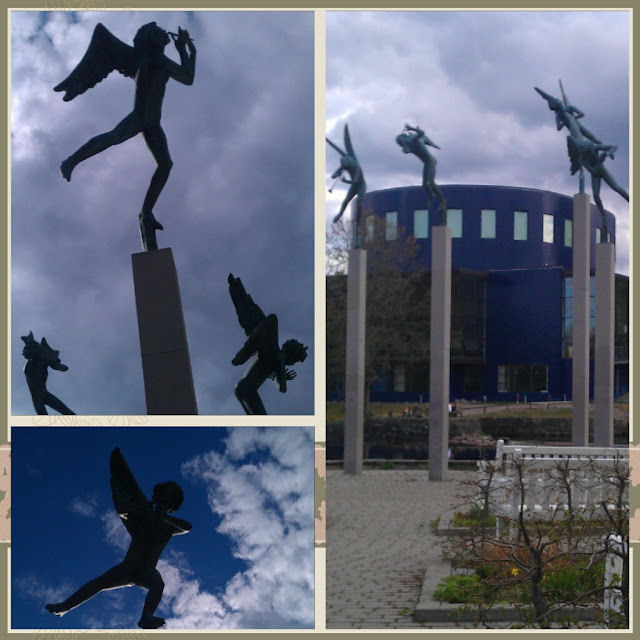 Fem musicerande genier (the five genies of the music) in front of the Konserthus. Strömvallen. Anyone else thought of Hitchcock's movie "The Birds" when watching the picture on the left? 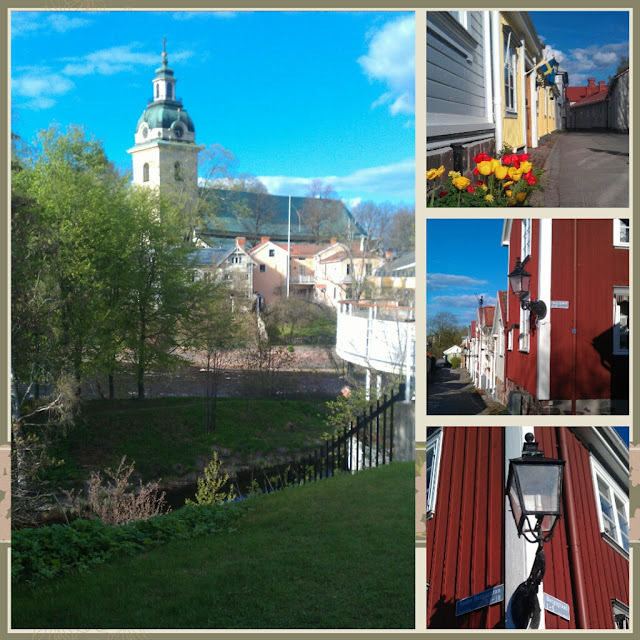 A view of Gamla Gefle, with the little houses you expect to find in the small towns of the countryside in Sweden. Ok. I feel I need to explain this collage a bit more. 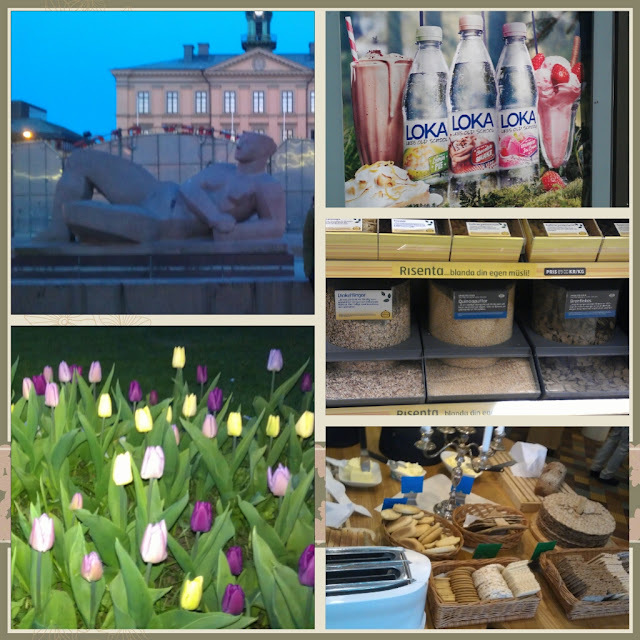 The first picture to the left is the City Hall with the most famous sculpture in Gävle. Below that picture there are some blooming tulips near the City Hall. I thought the colors were beautiful so I snaped a picture of the flowers. The first picture to the right shows sparkling water has some fun flavours in Sweden. I tried to find some of these at the supermarket with no luck so, I could not taste any of them T_T. The picture below was taken at a supermarket and it was just to show that in Sweden they also sale cereals in bulk (which they don't do in Spain). The last picture shows the variety of bread Swedish hotels usually have in their breakfast buffets. What can I say, Swedish just love smörgas! And I guess that's all. I hope you enjoyed the pictures and I'll provably see you soon with more product reviews and pictures of the leisure trip I took this month.